If one is conducting music, live or on record, one might as well do it with the highest form of seriousness, insight and expertise! Tor Einar Bekken and Richard Gjems have been touring with their extreme universe for 10 years! 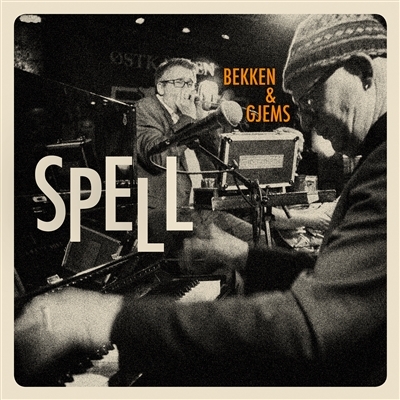 The idea that pianist Tor Einar Bekken (Dr Bekken) gives the illusion of a band and wizard and harmonica player Richard Gjems is a vocalist and “guitarist” is not very normal. All in all, nothing is normal about this concept. By claiming that everything is top shelf material, it is also necessary to specify that these are not storage shelves from IKEA or Clas Ohlson, but “The Shelves”. The same shelves where quality-oriented, advanced specialists in the top international top league stores their stuff. It goes without saying that music like this works especially well live, and here is a release which combines the best of both worlds, a live record! On top of it all the concert version exists on video, with the soundtrack from the album. This time the duo is expanded with a guitarist who qualifies with his lexical capacity as well as his tasteful playing, Jan Christian Gjems. The experience is topped with a soul wrenching guest performance by Noora Noor. Without wanting to sound too arrogant, I think it’s safe to say you have never heard anything like this before. The obvious reason for that is of course the unique format, superior musical performance and diverse references. The Blue Mood mantra that “a record is a post card from a concert” lives on.